The family name Chrysopidae derives from the Greek chrysos, meaning gold, and ops, meaning eye or face. That's a pretty apt description of the common lacewings, most of which have copper-colored eyes. Lacewings in this group are nearly always green in body and wing color, so you may know them as the green lacewings, another common name. Adult lacewings have lacy wings, as you might have guessed, and they look transparent. If you place a Chrysopid wing under magnification, you should see short hairs along the edges and veins of each wing. Lacewings also have long, filiform antennae, and chewing mouthparts. Lacewing larvae feed on other soft-bodied insects or arachnids, including aphids, mealybugs, mites, and Lepidoptera eggs. As adults, lacewings may consume a more varied diet. Some adults are entirely predaceous, while others supplement their diet with pollen (genus Meleoma) or honeydew (genus Eremochrysa). Common lacewings undergo complete metamorphosis, with four life stages: egg, larva, pupa, and adult. 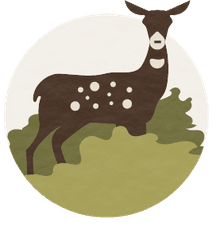 The life cycle varies in length according to species and environmental conditions. Most adults will live for 4-6 months. Before depositing an egg, the female lacewing produces a long, thin stalk, which she usually attaches to the underside of a leaf. She places an egg at the end of the stalk, so it is suspended from the plant. Some lacewings lay their eggs in groups, creating a small cluster of these filaments on a leaf, while others lay eggs singly. The filament is thought to provide some protection for the eggs, by keeping them out of reach of predators on the leaf surface. Generally, the larval stage may last several weeks, and usually requires three instars. Pupae may develop into adults in the safety of a silken cocoon attached to the underside of a leaf or on a stem, but some species pupate without a case. Common lacewings may overwinter as larvae, pupae, or adults, depending on the species. Some individuals are brown, rather than their usual green color, in the overwintering stage. In the larval stage, some species camouflage themselves by covering their bodies with debris (usually carcasses of their prey). Each time it molts, the larva must construct a new debris pile. Some lacewings will release a noxious, foul-smelling substance from a pair of glands on the prothorax when handled. 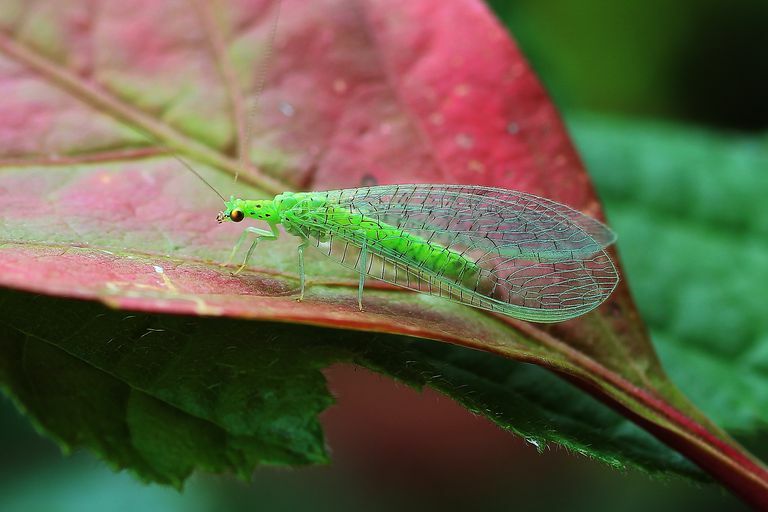 Common or green lacewings may be found in grassy or weedy habitats, or on other foliage, worldwide. About 85 species inhabit North America, while over 1,200 species are known globally.